Daryl Johnson (Worcester Park, United Kingdom) on 13 April 2009 in Documentary & Street and Portfolio. Observer at Kaiyukan (Osaka Aquarium). I really like your presentation! Nice composition. Nice use of the silhouette for scale. It has been ages since I visited an aquarium. I should really make the trip. I love the silhouette in front of this impressive blue underwater world! 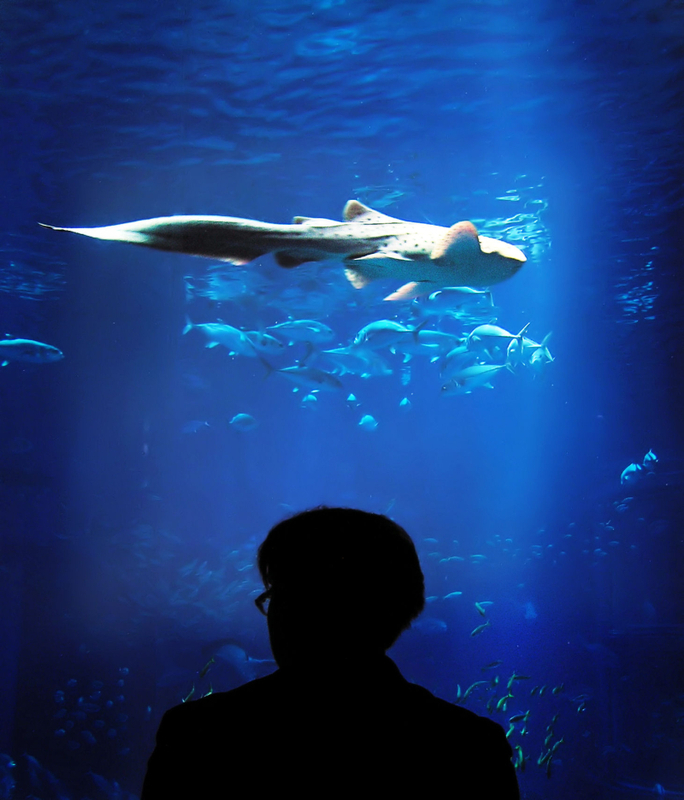 A beautiful image but with Mr. Shark added. Cool. love this!it would have been better if his head position was a little bit more to the side.so it would look like he was thinking about what he was seeing in front of him.did it take long to get this shot? @annora: Thanks annora, no it didn't take long at all!